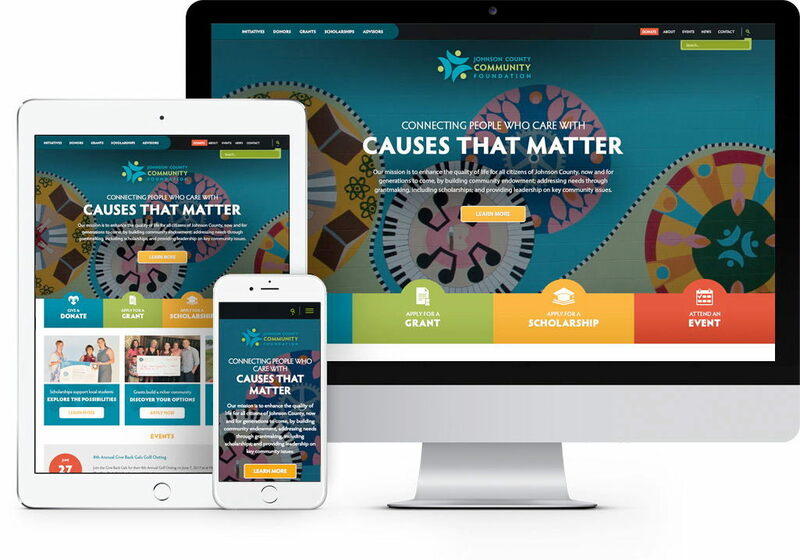 Johnson County Community Foundation (JCCF) connects people who care with causes that matter. Since their inception in 1991, the Foundation has given community grants and scholarships valued at nearly $20 million. Their mission is to enhance the quality of life for all citizens of Johnson County, now and for generations to come, by building community endowment, addressing needs through grant making, including scholarships; and providing leadership on key community issues. JCCF came to Mojo with key challenges they were experiencing on their website. First, applications, forms and information on their website was hard to find and complicated for users. Next, they needed to add donation functionality, as they could not offering a recurring giving option for donors. Their old website was not mobile friendly, so a responsive website was also a priority. Finally, they felt constrained by their CMS and the lack of flexibility, and they needed a better solution. The main frustration for users was finding information on the website. Through the planning process, we completely reimagined the navigation and content organization from a user perspective. JCCF has a few different audiences that regularly access the site: donors, grant applicants, scholarship applicants, and financial advisors. We reorganized the website content and navigation so that users could select the area of the website that they identified with. This helped streamline the application processes, as well. We completely reorganized the website content and structure. This resulted in a much clearer navigation that is easier for users to understand where to go. Visitors now have fewer steps to find and fill out forms and applications they're looking for. The old content management system lacked basic functionality for online giving, like offering recurring giving. We resolved this issue and continue to work with JCCF to find the best method of collecting donations online and improve the process. Another frustration was a single page template and lack of flexibility in their CMS. 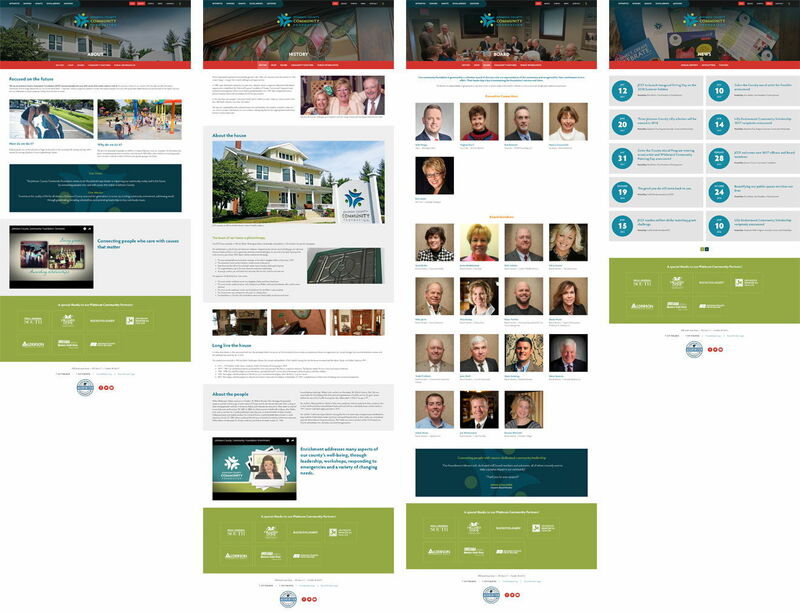 We built the new website on Zephyr, a CMS that gives the JCCF team much more flexibility. They can apply different page layouts and customize content on the fly, without the need for support or development help. See the new JCCF website for yourself!